I began piercing in the 1990’s. Piercing with a ring was the rule, not the exception, and we put them everywhere. Why? First, many of us used aftercare that involved rotating harsh chemicals into the wound. Of course, it turns out that was a bad idea. Secondly, rings looked really cool... to the customers of the 1990’s captive bead rings and circular barbells were what body jewelry was. Times have certainly changed. We discovered that our aftercare needed improvement and leaving the jewelry alone was actually a much better plan than constantly rotating jewelry through the piercing channel. We also discovered that many piercings healed better with straight jewelry. Straight jewelry didn’t add the stress of curved jewelry through a straight piercing channel. Eventually, over the course of the past 15 years, starting a piercing with a ring became “wrong” amongst a large majority of piercers. While I would agree that the switch away from rings has sped up healing in some cases, using straight jewelry exclusively has not been all good. A great many piercers have lost the ability to pierce appropriately for ring-style jewelry, and this is unfortunate because a nostril piercing with a ring is both safe and aesthetically pleasing. One of the reasons this series of blog entries began was an exchange I witnessed between a few piercers. 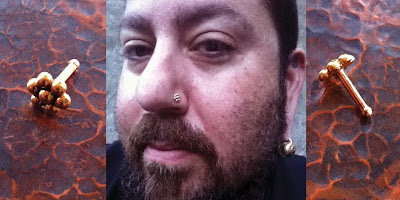 A newer piercer asked his more experienced colleagues, “How do you get snug fitting captive bead rings for nostrils”? I was astonished to hear my experienced colleagues respond “Have a lot of different sizes of captive bead rings”. Sure, an appropriate selection of jewelry is critical, but they completely neglected that nostrils pierced with a ring have to be angled appropriately for that style of jewelry. Nostril piercings with rings are different than nostril piercings with studs. I’ll say that another way: on a few clients, the angles for snug hoop piercings and appropriately placed stud piercings is the exact same, perpendicular angle. On the vast majority of clients, the angles for hoops and studs should be different. Let’s look at a client with a very narrow nose. You will notice that a “ring” piercing and a “stud” piercing are at virtually the same angle, both are about perpendicular to the tissue, and both result in aesthetically pleasing piercings. For this type of nostril, ring and stud placement is virtually interchangeable. This person gets their cake and gets to eat it too. But that isn’t true for all clients. Let’s look at a nose that is broader, with a more pronounced flare to the nostril. In this figure, you can see how the appropriate sized ring is huge and doesn’t look correct at all (in grey). See what happens when an inappropriately small ring (in red) is put in? It cuts into the nose, but it also bows out… you can’t make a piercing snug by putting a smaller ring in it anymore than you can make baggy jeans into skinny jeans by getting a smaller waist size. The issue in the jeans is the tailoring, and the issue with a nostril with a hoop is the piercing angle, plain and simple. At this point, you may be saying "I read your blog about perpendicular piercing Jef, and piercing with a hoop breaks those rules.". Yes. Yes indeed it does. When we elect to pierce for a ring we need to acknowledge that the piercing will be more prone to irritation because we are not piercing perpendicular. That doesn't mean we need to completely avoid it. Starting a nostril piercing with a ring can be done safely, with a consultation beforehand. The client should be informed that ring and stud piercings are performed at different angles, and that they may not be able to change from one to the other and have both look nice. The client should be informed that the curvature of the ring through the straight channel that the piercing needle makes can cause irritation. The client should expect a slightly longer healing process. I know some of my colleagues will disagree, saying that starting with hoops is an unnecessary burden on our client. I suggest that we look at a nostril piercing with a hoop the same way we look at orbital piercings. Sure you could try starting the piercing with straight jewelry, hope the piercing heals at the correct angle, and then force the piercing to re-heal with the correct jewelry later on… but why? The piercer needs to understand that a pre-piercing consultation about the relatively small risk presented by starting with a ring is enough. Piercers do these consultations all the time: we caution our clients about the potential issues tongue piercings can have on their teeth and gums. We caution them about the temporary nature of surface anchor piercings. We explain scarring is possible on each and every piercing. Following our explanation, we let our clients make the informed decision to get pierced or not. Getting a nostril pierced with a hoop style piece of jewelry is no different. Now that we’ve established that ring piercings are both safe and different from stud piercings, what are some of the things a piercer will want to consider? Smaller rings are usually more aesthetically pleasing, but how do we make that happen? How do we decide what size is safe an appropriate? When piercing with a ring, I will make a dot on the cleaned nostril with a disposable gentian violet marker, and then place an SPR on the mark. In some cases, I will need to open the SPR larger than the size of the bead. Taking this into account, you may need to go larger with the jewelry selection. This helps me find the appropriate size but also helps my client visualize the size and angle of the piercing beforehand. Typically, marking toward the front of the ridge gives me the smallest ring possible. Sometimes the ridge of the nostril can accommodate several rings the same diameter, but in most cases as you place the ring further back the diameter grows. I find that when working with clients, many want something impossibly tight. The angle of the piercing for the average nostril tends to be almost parallel with the floor, or very slightly downward tilted. Still, for the piercing to heal we need to accommodate for some swelling and allow a small amount of space so the ring doesn’t rub on the skin of the nostril. Above: the nose ring on our left is appropriately angled, the one on the right is angled too hard. Angling the piercing too hard gives the client a piercing that is exceptionally tight, but exceptionally challenging to heal. I have found that the piercing on the right is prone to irritation bumps, while the one on the left is far easier to heal. Above: the same nostril on our left is looking good, but now the piercer has gone too angled down on the right. This isn’t aesthetically pleasing. Captive bead rings: “CBR’s” are the old standby and I still like them for nostrils with hoops. l strongly suggest having several “half” sizes (9/32, 11/32) handy. I prefer 18 gauge for nostrils with rings, as the curvature of the ring through the fistula tends to be even more irritating at 20 gauge. For some, as thick as 16 gauge will look appropriate, though most clients prefer thinner. Most of my clients prefer to wear the bead on the inside of their nostril, so it isn’t visible. Fixed Bead rings : One advantage fixed bead rings have over captive bead rings is the ball tends to be smaller. Either way, the client can wear the ball on the inside of the nostril as to hide it from view. Again, I like 18 gauge for initial piercing. Seam rings: I suggest against starting a piercing with a seam ring, the small seam in them can be irritating and is a great place for bacteria to gather. I know of some colleagues who will start with a seam ring with a sterilized small o-ring over the seam. This seems like an elegant solution to the problem, although an o-ring seems as obvious (if not moreso) than a captive or fixed bead on a ring. Nostril nails: A nostril nail is a sort of hybrid nostril screw / fixed bead ring. It can look quite nice and can also be modified without the use of tools to be slightly snugger than traditional rings. Nostril nails are a favorite of clients who like to change jewelry regularly. Above: Laura Jane has pierced her client using these techniques. She has opted to give a small amount of room for swelling on this fresh piercing, but the jewelry still looks appropriate. This piercing will look great while healing and can be even tighter when healed. With that, I have completed the jewelry considerations I wanted to discuss. It is possible that I will want to revisit jewelry considerations, but the time has come for techniques. My next few blog entries will feature a variety of nostril piercing techniques. I am also excited to announce that many of these principles and discussions will be turned into a 2 hour techniques class at the 2014 Association Of Professional Piercers Conference in Las Vegas, Nevada. My co-instructor is the brilliant Alicia Cardenas of Sol Tribe in Denver Colorado. I am pleased to share the commercial we shot for our second location. There are short clips of me piercing a nostril, and Laura Jane piercing a tragus, as well as a look at our jewelry selection. A big thank you to JC of The Modified World and Pangea Piercing for suggesting my blog! I appreciate the support! Barbells and flatbacks are available in several materials, although the most popular for the nostril is titanium threadless options from Neometal. 18 gauge is the most common, but thicker is available. Threaded options are available in gold, steel, and titanium from a variety of excellent jewelry manufacturers (Anatometal and Industrial Strength, for instance). For nostril piercings, I prefer a fixed ball or small disk on the inside of the nose. This is so the client doesn’t have to tighten a threaded end inside their nose, and reduces the risk of inhaling the jewelry. Flatbacks can be worn on nostrils that are very even planes, inside to outside. If the disk hits the inside of the nose at an angle, it can become very uncomfortable for the client. In those instances, a barbell will be more comfortable and will heal better. For this reason, starting with barbells rather than flatbacks tends to be the best choice while you gain experience piercing nostrils with barbell style jewelry. Figure A: The nostril piercing on the left is angled such that a flatback rests comfortably and will heal well. The nostril piercing on the right is angled in such a way that the flatback will cause irritation. If the placement on the right is the aesthetically better choice, a barbell with a ball on the inside will be the more comfortable choice. When performing a piercing with a barbell or flatback, care should be taken to allow room for swelling. While the nostril isn’t particularly prone to swelling, it does in fact happen. If you were to measure a ¼ thick nostril with a pair of autoclave safe calipers, a 5/16 length barbell is the safest bet. I tend to avoid starting less than 9/32 in length, though healed nostrils can often accommodate ¼ and even 3/16 length barbells and flatbacks. The ball and disk size on barbells and flatbacks inside the nostril should be very small. 2.5mm disks and 3/32 inch balls. I have used larger disks when there are no structures inside the nostril that would be irritated by a 3mm or 5/32 disk. That said, in most nostrils bigger jewelry is simply unnecessary and can take away from the aesthetic of a well placed and fitted nostril piercing with a barbell. Another type of “barbell style” nostril jewelry is an older design called a nose bone. A nose bone has a gem or ball or regular sized ornament on one side, and a tiny ball at the other end. The idea behind a nose bone is simple: the tiny ball can go in easily and be removed easily, but provides just enough friction that it doesn’t fall out of the nose. This style of jewelry should not be dismissed for healed piercings. It can be made by reputable body jewelry companies and out of appropriate materials. That said, the nose bone has become synonymous with bad jewelry quality and the design has been abandoned by most piercers. Nose bones should never be used for initial piercing, and should only be tried by clients with exceptionally well healed piercings. I’d suggest that someone trying a nose bone should regularly change their jewelry to avoid the fistula of the nostril piercing from shrinking around the thin post making removal uncomfortable, and potentially damaging to the piercing. Adam Block, one of my favorite piercers (and favorite people), wears nose bones by BVLA. Adam pierces at The End is Near in Brooklyn, New York. These are 16g with ~14g beads at the end. Flatback and barbell nostril jewelry is especially effective in multiple nostril piercing projects. I’ve worn two nostril screws at once in the same nostril, and while I found it comfortable, many clients will find all that metal to be quite a nuisance. A little extra room should be given for swelling when doing multiple nostril piercings in the same sitting, so accommodate with at least an extra 1/32 of an inch. Whether using threadless or threaded barbells, many clients actually prefer a little extra length on their barbells so the can actually grab the inside without tools to remove or change their jewelry. (Techniques for threading ends in fresh piercings will be discussed in subsequent blog posts). Finally, one advantage barbell styles have over nostril screws is that they do not need modification by the piercer. My colleagues Rob Hill and Brian Skellie were quick to point out after my last blog entry that a nostril screw does dull and lose surface finish even when using brass lined tools and gauze. Repolishing a nostril screw is possible to do in house, and I encourage piercers using nostril screws to consider this extra step. Next entry: Jewelry Considerations - Rings. Nostril Piercing: Jewelry Considerations- Barbells and Flatbacks by Jef Saunders is licensed under a Creative Commons Attribution-NonCommercial-NoDerivs 3.0 Unported License. 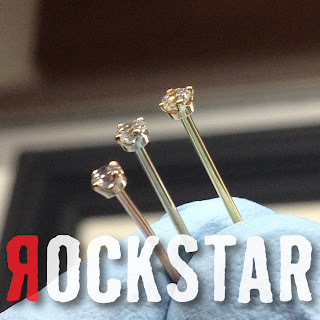 (This blog entry is geared toward professional piercers working in studios. Please feel free to read this if you are not a pro piercer, but do not attempt to perform piercing outside of a piercing studio or without appropriate training beforehand. Looking to become an apprentice? Read my blog entry about the subject here.) There are several jewelry options to discuss for initial nostril piercing, and we will separate these into two general categories that our clients can relate to: hoops and studs. Piercers tend to dislike the vagueness of these terms, but we can use them to effectively communicate with our clients and use them as umbrella terms for lots of different jewelry options. Hoops can be captive bead rings, fixed bead rings, continuous (otherwise known as “seamless” rings), segment rings, “clickers”, circular barbells, etc. Studs can be barbells, flatbacks, nostril screws, nose bones, etc. Let’s focus first on studs, as they tend to be the more popular jewelry style for most of our clients. Nostril screws come in a variety of materials, but because of the need to bend them to fit, steel and gold are significantly easier to work with than titanium. 20 gauge and 18 gauge options work best, although thicker options are available. Nostril screws are usually ¾ of an inch (19.05 mm) long but can be ordered from manufacturers longer or shorter. Nostril screws should be purchased straight, and then bent to fit each client individually. Pre-bent nostril screws are available, but because of their “one-size-fits-all” nature, they should be avoided. After all, your clients come in a wide variety of shapes and sizes. Applying a one-size-fits-all piece to every piercing is bound for failure. Also, the swoop or curve on the end of a pre-bent nostril screw tends to be very “tight”, which is to say curved far too much. When the curved backing of a nostril screw is very tight, it is not at all comfortable for initial piercing and insertion. Nostril screw bending is a skill that is not difficult to master and can be done without repolishing if a few precautions are taken. Occasionally, you may encounter a “genuine Indian design” nostril screw that is made out of high karat gold and is very thin; these can be worn in healed piercings but are not advisable for initial piercing. Nostril screws get a bad reputation because the end can hang out of the nostril looking very aesthetically displeasing. This is usually because of an issue with the angle of the piercing, but can also be due to improper jewelry bending. The former can’t be fixed without re-piercing, the latter is usually fixed with a few subtle adjustments. How to bend a nostril screw has been the subject of much debate. While there are many correct and effective ways to bend a nostril screw, this is the technique I use to minimize damage to the wearing surface of the jewelry, and allow for a long end of the nostril screw to anchor at the back of the nostril. If you are unfamiliar with bending nostril screws, I suggest a minimum wearing surface of about 5/16ths of an inch. With time, and evaluating your client’s anatomy, shorter is possible while still allowing room for swelling. Always make sure 5/16ths is long enough. On thick noses I have bent nostril screws as deep as ½ an inch! I wrap the nostril screw with a couple layers of non-woven gauze. I then use a brass jaw pliers at approximately that 5/16ths depth at a 90 degree and to the dome. Using my pointer finger, I brace the jewelry for a quick bend at exactly 90 degrees. Slow movements can result in a “curvy” bend rather than a precise 90 degree bend. At this point we are half done. This 90 degree bend would be very easy for our clients to accidentally pull out of their new piercing. Our next step is to put a subtle curl right at the bend to hold the nostril screw in. Again, I’m covering the jewelry with gauze to protect it from the tool. I align the portion after the initial 90 degree bend so that I can push down slowly with my thumb, giving it a simple arching curve. The curve has been made. The more you curve at this point, the less likely the jewelry is to fall out by getting snagged. Unfortunately, this makes it more uncomfortable to insert and remove, as well as less likely to catch on the back of the nose so that the end of the jewelry hangs out of your client’s nose. If you have performed this procedure correctly, the jewelry is free of damage in the wearing surface of the nostril screw. Nostril piercings are usually placed in such a way that angling the curve back towards the face is the most comfortable, but in rare cases, curving the nostril screw so it catches on the tip of the nose is possible. The standard approach is shown below. In this figure, it is labeled “A” and will be where most nostril screws face. Sometimes a very far forward placement is aesthetically pleasing, and there simply isn’t enough length on the nostril screw to catch the back of the nose. In this instance, reversing the curve and facing the nostril screw forward is a suitable solution (in this figure, it is labeled B). It should be noted that in most instances, angling the nostril screw back is the more comfortable for the client, and they may find a different style jewelry appropriate if a nostril screw facing forward causes discomfort. In the next installment, I will address barbell and flatback jewelry considerations. Nostril piercings may be far and away my favorite piercing to do. They look beautiful on most clients, there is a tremendous history and cultural significance to pierced nostrils, and the amount of jewelry options is simply staggering. I also think that nostril piercings are consistently challenging, which isn’t something you will hear from very many body piercers. I think this is where the idea that nostril piercings are “easy” comes from. Most people who think that nostril piercings aren’t hard simply don’t understand how they are piercing them incorrectly. I am writing this series of blog entries to explain my philosophy toward nostril piercing technique. 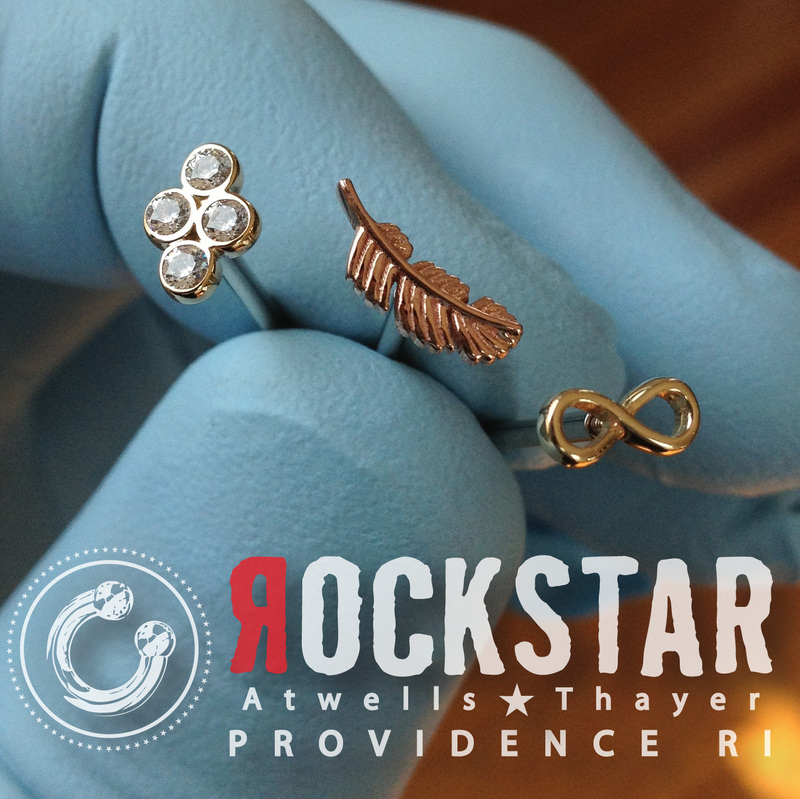 I address several different jewelry styles, angles, and options for how a professional might perform such a piercing. Make no mistake, there are several correct ways to do a nostril piercing and I am only covering a few. 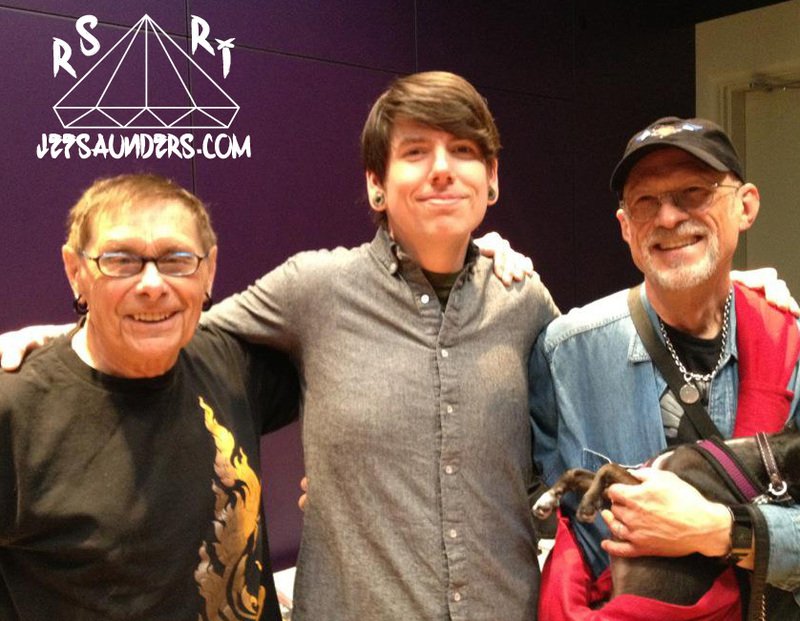 One final note, this blog entry is geared toward professional piercers working in studios. Please feel free to read this if you are not a pro piercer, but do not attempt to perform piercing outside of a piercing studio or without appropriate training beforehand. Looking to become an apprentice? Read my blog entry about the subject here. Perpendicular body piercings tend to heal better. This is an axiom that many piercers intuitively understand. Perpendicular piercings, which is to say: piercings that enter the skin at a 90 degree angle and exit at exactly the same 90 degree angle, do in fact tend to heal better than piercings that are not perpendicular . Few piercers, and even fewer of our clients, understand why this is the case. Barring cases of very irregular anatomy, a piercing that enters and exits at a 90 degree angle goes through the least amount of tissue possible. FIGURE A: a perpendicular piercing. In contrast, angled piercings tend to go through significantly more tissue. This is a simple fact of human anatomy. The less tissue that is damaged, the less the body has to do to repair, and the results are faster healing piercings. Simple, right? In contrast, with angled piercings more tissue is damaged by the piercing, therefore there is more tissue the body has to repair, and the result is a longer healing process. FIGURE C: A comparison of the amount of tissue the perpendicular piercing in Figure A goes through, in contrast to the angled piercing in Figure B. There is a problem, though. Human beings have bodies that are not completely flat. Nostril tissue presents a challenge in this regard. The visible portion of the nose can be slightly concave or slightly convex, only seldom is it flat. Also, the tips of our client’s noses can narrow or become bulb like. Establishing what a 90 degree piercing is on tissue that curves so much can be challenging. It is common to place nostril piercings in the arch or trench of the nose. When this tissue flares dramatically, the piercer has far less than a 180 degree flat plane to work in. Can splitting the smaller angle in two rightly be called “perpendicular” for piercing purposes? Let’s establish some vocabulary to discuss the nuance of perpendicular nose piercings. Angles “east to west” across the nose will heretofore be referred to as the X-axis. “North to south”, which will be referred to as the Y-axis. The inside of your clients nose may have tissue that runs relatively parallel to the outside of his or her nostril. This is very often the case, but not always. They may have tissue inside their nose that runs at a very different angle than the outside of their nose, or worse, the inside of the nose may have “structures” of oddly shaped tissue complicating placement. This makes us ask, which side do we choose to make the piercing sit perpendicular to? The inside or the outside? FIGURE F: A large flared nostril. How does a piercer decide? Our piercer has split the difference of the angle in the ridge into two equal parts, but this results in a steep angle on the inside. The right side isn’t perpendicular to the outside of the nose at all, but goes through less tissue. What is the appropriate y-axis angle in this case? Judging from the above figure, we can see that performing the piercing exclusively based on splitting the angle available can result in a piercing that goes through extra tissue. Extra tissue means a longer healing process. In this particular instance, the approach on the right side seems to be the better option for healing as this piercing goes through less tissue. It is also important to note: perpendicular piercing is merely our beginning principle. While this axiom holds true, it does not take into account aesthetics at all. A perpendicular piercing that doesn’t look good on the client is not a successful body piercing. There is one final benefit to perpendicular piercing that we will discuss in further detail when we get into jewelry considerations. Many body jewelry options have flat ends. When these flat ends rest completely even on the tissue the piercing is made in, it tends to look aesthetically pleasing but also eliminates stress on the surrounding tissue caused by the jewelry. Nostril Piercing part one by Jef Saunders is licensed under a Creative Commons Attribution-NonCommercial-NoDerivs 3.0 Unported License. I get asked for an apprenticeship nearly every day I work. Obviously, that means I need to say “no” to an awful lot of people. It’s not in my nature to be painfully honest and tell people what they don’t want to hear. That having been said, a lot of you folks out there that are looking for jobs in the piercing industry are just not the right fit. So I have written the following not to be insulting, self righteous, or egotistical. I’ve written it to be as honest and helpful to you as I can possibly be. 1) I need to have a place for you to work. Why? Well, let’s say I train you and you become a competent piercer. 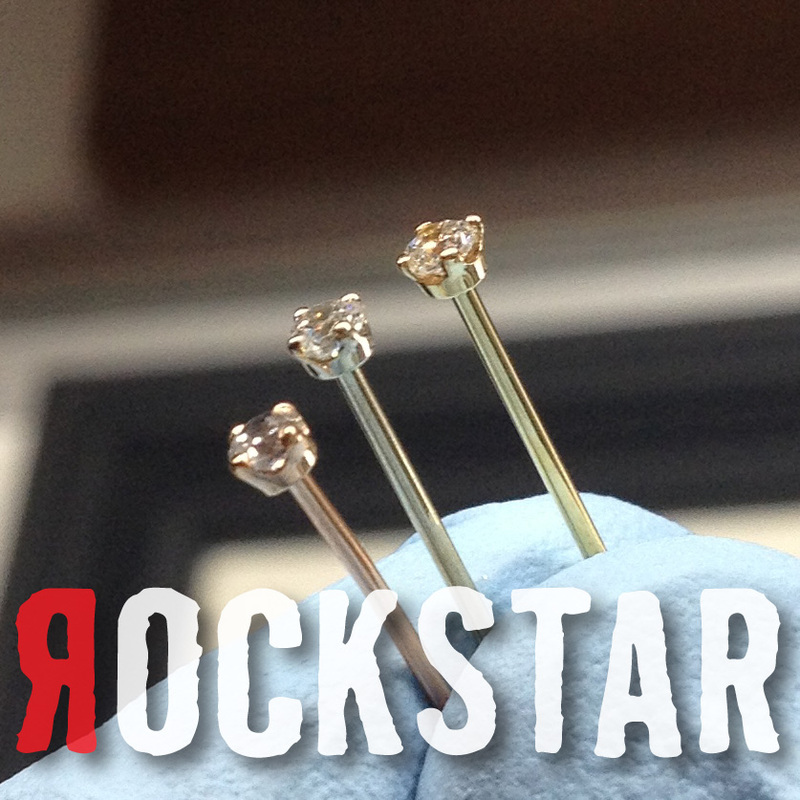 Won’t you be frustrated that you aren’t actually piercing for a living? I know it would bother me that I could pierce well and wasn’t actually making money doing it. If you find yourself working one shift a week, or just substituting for the other piercers, you are going to go stir crazy. Eventually, I’m going to lose you to another shop, and now I have trained someone who will be my competitor. Keep in mind, taking on an apprentice is extra work for me, and now I’ve worked for months (or years) on someone who will be a competent competitor. That’s bad business. 2) I need to know that you are really motivated to be a great body piercer. Being really motivated seems easy enough, right? I mean, you are already really motivated! Well, at least you think you are. To work at my shop, you must attend the Fakir Musafar Basic Piercing Intensive. When you say, “I’m really passionate about body piercing, but I can’t afford the school or the flight right now”, try to put yourself in my shoes. Essentially, you will need to save about $2500 to take the Fakir Basic Piercing class and stay in San Francisco. If you can’t save that amount of money it means to me you are either too irresponsible to save money or you want instant gratification. Neither of those qualities is especially compelling to make me take you on as an apprentice. 3) Getting an apprenticeship is a popularity contest. My shop doesn’t need the brooding, quiet, introverted type. We need the body piercing equivalent of a cheerleader. We need happy, friendly, positive folks that can light up a room with their smile. 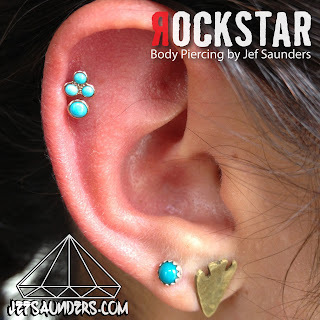 Body piercers need to be clean, smart, creative and passionate, but they also need to be likable, approachable, and able to command the center of attention for the length of time it takes to perform a piercing. If you hate people, hate public speaking, and hate awkward social situations, why on Earth would you want to be a body piercer? Make no bones about it: body piercing is a job for people who like people. 4) My shop is not the stepping stone to a tattoo career. Piercing is not the way to get into tattooing. That’s sort of like becoming a dentist so you can eventually be a gynecologist. Don’t waste either of our time. Start drawing. 5) When your apprenticeship is over, do you want to open your own shop? your work as our employee or from actually being paid for the apprenticeship. I think you will save us both a lot of drama by being up front about this. By being forthcoming and being prepared to pay for your apprenticeship, you also nearly guarantee that you’ll actually get taken on for training. This also goes back to #2, and if you pony up a large chunk of money for an apprenticeship, I know you are serious about becoming a good piercer. • Wear good body jewelry. Better yet, wear body jewelry from my shop. • Have retail sales experience. • Learn CPR/First Aid at the American Red Cross. • Take anatomy and physiology classes at your local community college. • Volunteer to promote my shop. • Read a lot about piercing. Learn its history. • Work on your people skills.